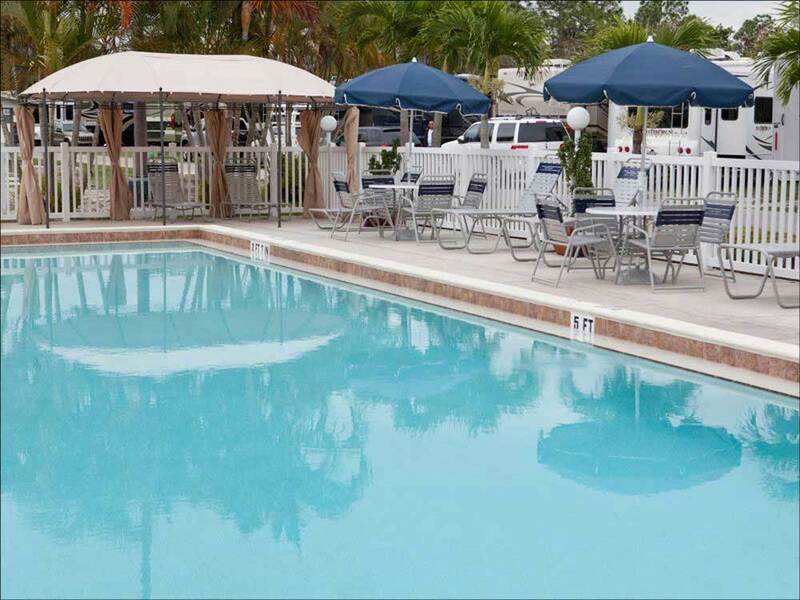 Surrounded by nature preserves and just minutes from the excitement of Naples - have it all at Club Naples! From swimming and shuffleboard to petanque and planned activities, you're sure to have an unforgettable experience. We stayed 12/29-30/18 on our way to Key West. Easy access on/off from I75! Check in was a breeze - we did have a reservation. Very friendly staff! Escorted to site. We did need to disconnect our tow vehicle to access the site for our overnight stay and they have a nice place to disconnect our tow. We had a pull-thru site that easily accommodated our 38 ft. coach. Level site with a concrete pad. Site had solid 50 amp power, good water pressure, and sewer connection. Pool was very nice after a long drive. The property is very well maintained with a fantastic staff. We plan to return on future trips! Great destination park. Love everything about it except the tight spots. Parking vehicles is a real challenge. Friendly campers and staff. Very well maintained. Will return here again when in the Naples area.